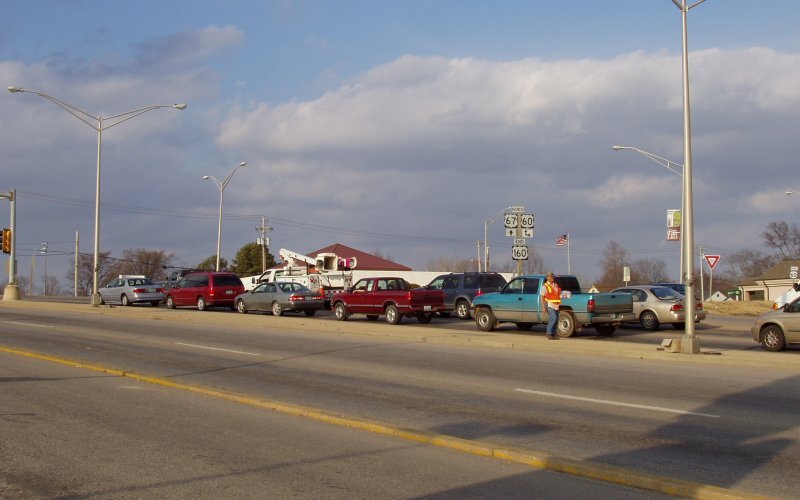 For over 50 years, this was the westbound beginning of US 160. Even after the US 60 and later US 67 bypasses were built, this location remained the eastern terminus. 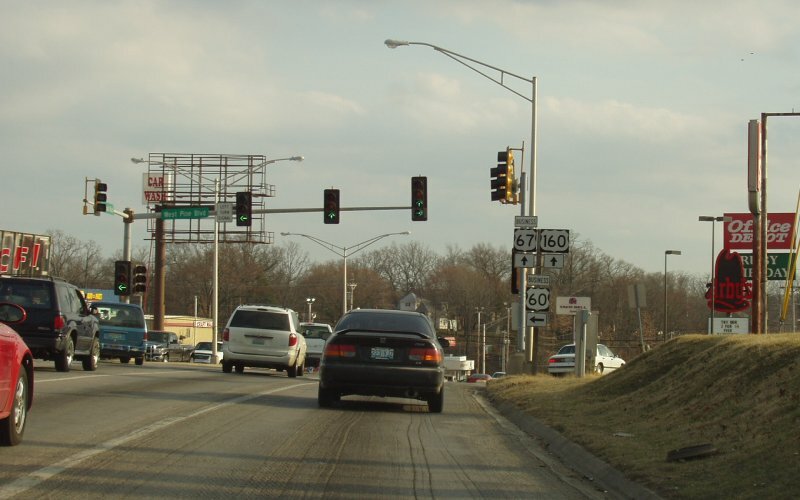 Then in 2007, MoDOT got approval from AASHTO to truncate US 160 about 10 miles southwest of Poplar Bluff, and so the location in this photo is no longer the westbound start to the route. However, Joe reports that as of July 6, 2007, the old terminus is still signed. Photo by Joe Balsarotti, taken in April, 2007. Looking across the street (from the Arby's lot in the above photo) at the end signage. Photo by Joe Balsarotti, taken in April, 2007.